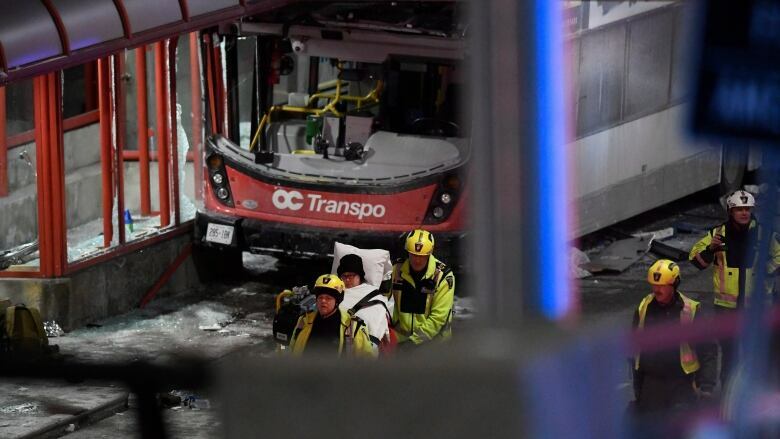 One week after a packed bus slammed into a shelter overhang in Ottawa, killing three and injuring many more, these are the questions authorities need to answer if they want to restore our faith in the city's public transit system. On Thursday night, a clutch of strangers gathered on the platform at Westboro station, brought together in the numbing cold to leave flickering candles and handwritten cards, and to see for themselves the place where it happened. "These ones had a lot of questions," said Rebecca Renfroe, her two young daughters beside her, bundled against the chill. "They've been talking about it a lot and worrying about it a lot, and I think part of the way that you make the world seem not so scary is to show that when bad things happen, your community is there to support you." It was there, six days earlier, that a packed double-decker bus jumped the curb and slammed into the shelter's overhang. The steel-framed structure sliced through the vehicle's right side with such violent force that rows of seats on its upper floor were torn away and thrust backward into a heap. Seconds earlier, the people in those seats had been gazing at their phones, listening to music or planning the weekend ahead with their families in Bridlewood or whichever western suburb they called home. Now, those trapped in the crumpled wreckage waited in agony as firefighters smashed through windows to pry them free. A growing column of ambulances stretched along the Transitway, erasing any doubt that this had been a major calamity. Ottawa's hospitals invoked a rare code orange, and soon emergency rooms were overflowing with the injured. Doctors and nurses worked tirelessly to save lives and limit suffering, as they always do. Some could not be saved, and we can only hope they didn't suffer. 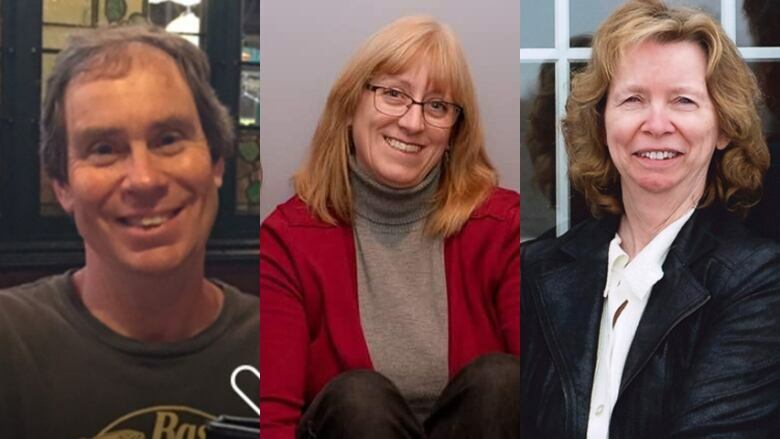 We now know the names of the three passengers who died, federal public servants like so many others on that bus, like so many in this city. Each family will mourn in its own way: for Anja Van Beek and Bruce Thomlinson, private goodbyes with close friends; for Judy Booth, a public ceremony with pipes and drums. For others, the tragedy's toll is just now being counted. Many lost limbs or suffered spinal injuries. Their lives, and the lives of their families, have been forever altered. Some of the passengers who made it off the bus with bumps and scratches will bear invisible scars that are slower to heal. The things they witnessed are impossible to unsee. For many who weren't on the bus, the crash has again shattered faith in Ottawa's public transit system, a service whose only responsibility is to get us to work in the morning and return us safely to our families at the end of the day. It failed to do that on Sept. 18, 2013, when another OC Transpo double-decker bus collided with a Via Rail train in Barrhaven, killing six, including the driver. It failed again last Friday. While many of the circumstances differ, there was nevertheless a sickening sense of déjà vu. It might seem premature, even distasteful, to begin asking how this can happen. But there are questions that need answers before our faith can be restored, and the community doesn't want to wait years to get them. "We're hoping to get some answers really fast. 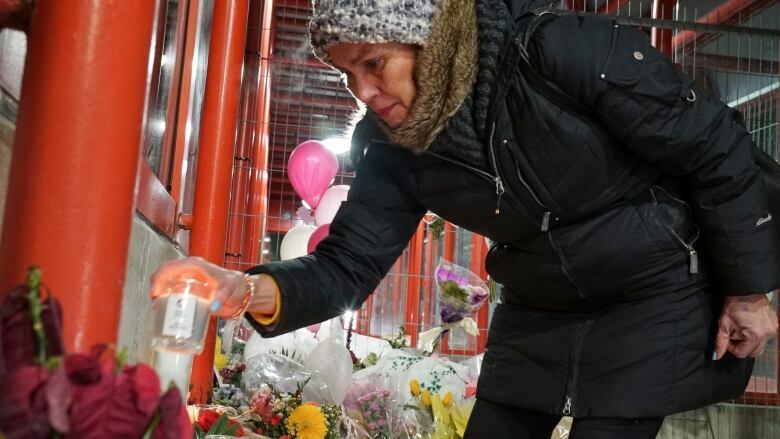 Everybody deserves to have some answers right now," said Zully Alvarado, who lit a candle at Westboro station on Thursday, and who's visited the growing memorial each day since the crash. First, the driver: Ottawa police arrested Aissatou Diallo at the scene of the collision, but released her without charges later that day. We still don't know what prompted officers to take her into custody. Diallo was hired by OC Transpo within the last year. She'd been in a minor collision with another bus in December, a month before the deadly crash on the Transitway. Did her inexperience play any role in what happened, or was she perhaps distracted before the crash? It's possible the police investigation, now aided by collision specialists from the Transportation Safety Board, could reveal clues once they obtain evidence from the bus's onboard data recorders. Second, did the structure of the Transitway itself play a role in the collision? As another operator told CBC News, driving conditions on the bus-only roadway were ideal the afternoon of the crash. But what about the shelter overhang at Westboro and other stations along the route? When Ottawa began acquiring its fleet of double-deckers, was any thought given to what might happen if one strayed off course and struck one of the protruding awnings? 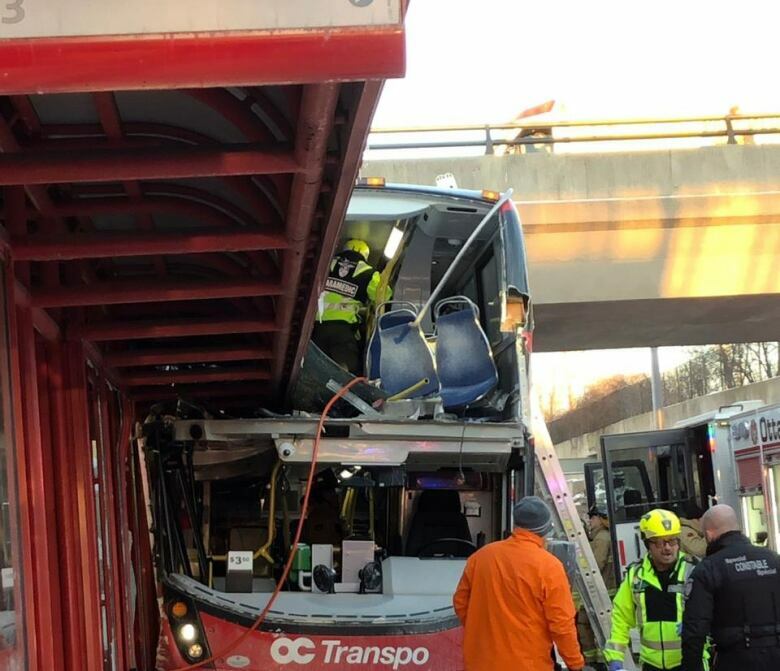 Since learning from the 2013 crash that the double-deckers offer little protection to passengers seated upstairs, it seems like the sort of detail that should have raised red flags. Finally, are we doing everything we can for the survivors? As late as Wednesday, police were asking passengers who were on the bus to come forward, estimating they'd reached about 80 per cent of them. Chief Charles Bordeleau pointed out that unlike on an airplane, there is no passenger manifest. There would be, however, a record of passengers who tapped their Presto cards to board the bus. As of Thursday, Ottawa police had not contacted Metrolinx, the provincial agency in charge of the Presto system, to obtain that information. Those with obvious injuries are being cared for. How many of the others are suffering in silence? We know from painful experience that the trauma can slowly eat away at a survivor's mental health until they can no longer bear to live with the torment. Those people need our support, and they need it now. This has happened to us twice. It can't be allowed to happen again.